One such lovely find is Van Der Linde (or VDL) in Linden. Beautiful spaces, gloriously happy music and a breakfast menu that leans towards the unusual. It has a build-your-own breakfast with an eye-popping variety: think chicken livers, tomato and onion relish, potato and Grana Padono rosti, grilled banana … You can have eggs three ways. Get the bread basket, it includes buttery croissants, sour dough, and a cumin and rye bread that will leave you wanting more. The basket is served with homemade butter (yum) and proper homemade jams – we had strawberry and a brilliant pineapple jam. 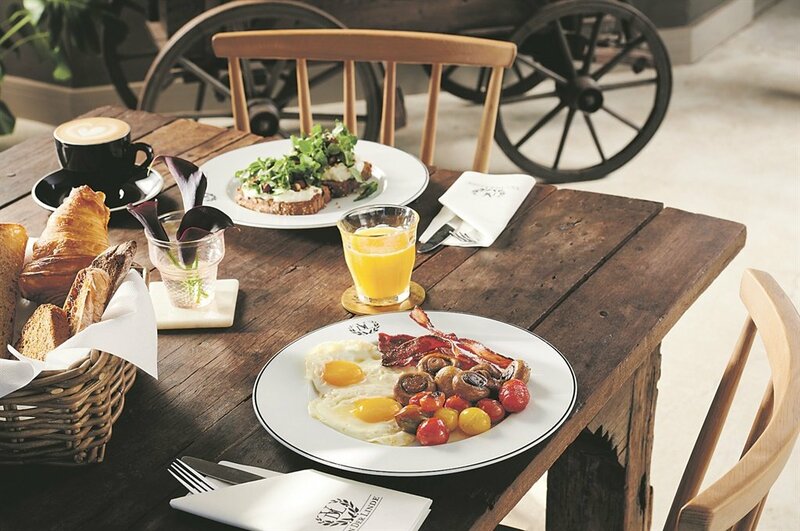 Move on to the main breakfast menu and there you can choose asparagus and buckwheat (trust me, this is so yummy you want to lick the plate) or creamy scrambled eggs with a roasted bone marrow and tomato relish. Vegetarians are well catered for – curried tofu scramble; quinoa granola, chia pudding, ricotta toast with truffle honey and pea shoots and avocado and lime toast. For drinks you can choose excellent coffees, or try the spicy celery cooler or the beetroot, apple, kale, maple syrup and yogurt smoothie. Almond or soy milk can be substituted. It’s a clever, tasty menu and priced reasonably so you start the day off on a really high note. The venue is pretty and cleverly laid out so you never feel crowded. Little things, like the homemade jams, the bowl of proper sea salt flakes and brown sugar cubes, add touches that are sadly missing at most other eateries. And now I am hungry all over again. COMPETITION: This winter, wouldn't you rather chase summer in Mauritius?